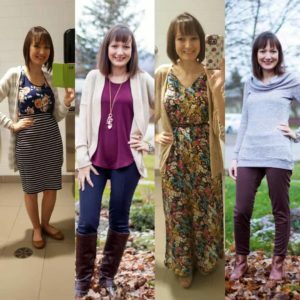 Blog Tour· Patterns· What Do I Wear? The final day of the tour! I hope all of you have enjoyed all the inspiration our incredible bloggers cam up with. If you need to catch up you can find Day 1, 2, 3 and 4 here, here, here and here. Today we have Rachel from Always a Project up first. 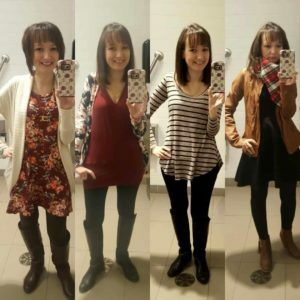 She has sewn up multiple looks for inspiration today! I am in love with the Everyday Elegance in dress length she sewed. 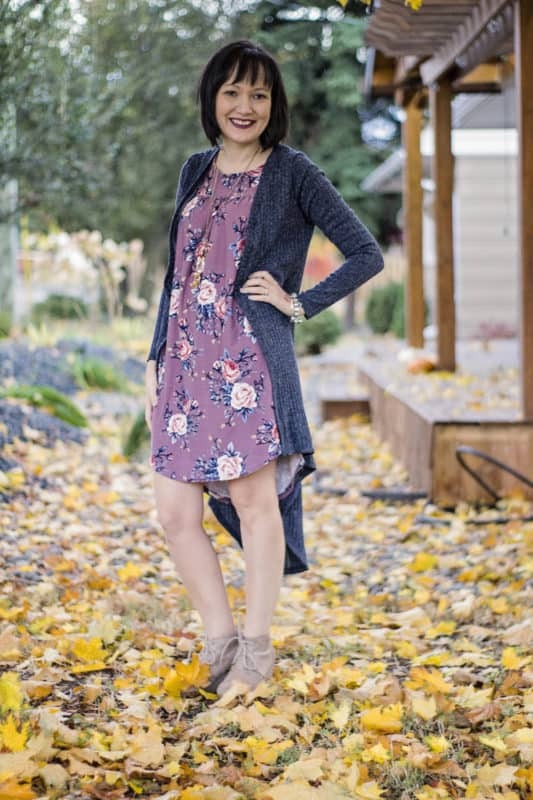 Perfect colors for fall and such a great style for work. I am obsessed with every look she made but I don’t want to tell you everything but I promise you she has some gorgeous looks! Check out the rest of her photo’s here. 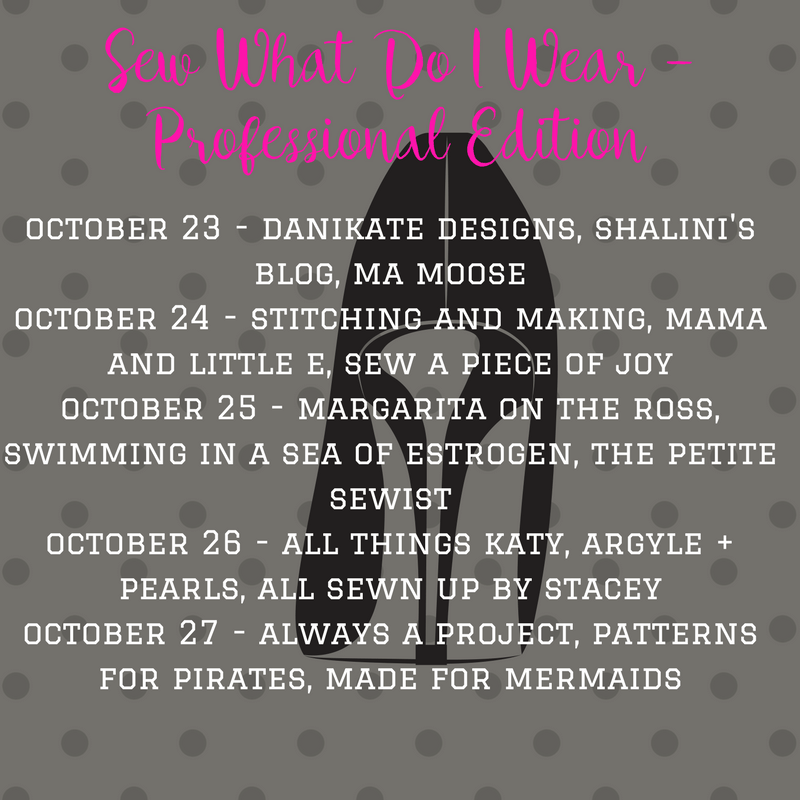 Now our blog tour would not be complete with out one of the team at Patterns for Pirates posting so we have Alex up on the tour today! 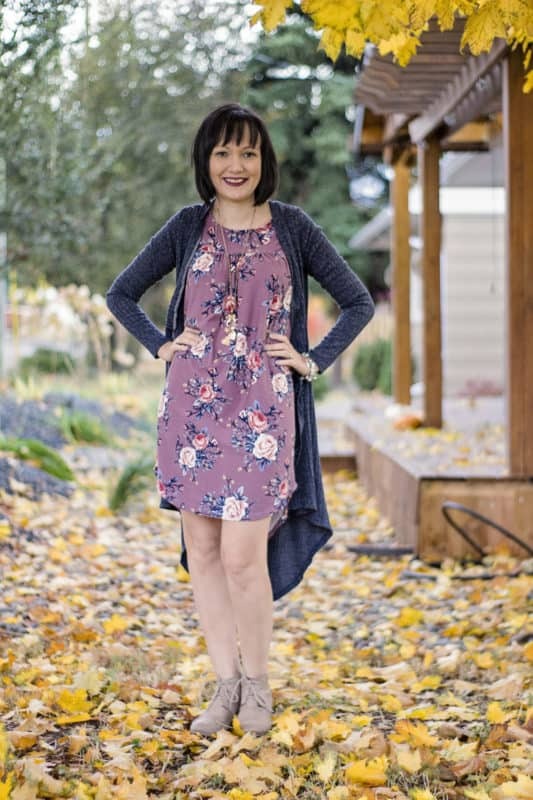 Now if you know Alex she always seems to dress to impress and has the perfect shoes for every outfit, is it bad that I am always in envy of her shoes as well as her great style? Alex sewed up a great pairing of the Brunch Blouse and a fabulous Pencil Skirt! Go check out the rest of her outfit here. Now if you know me you from the Made for Mermaids and Patterns for Pirates Facebook groups you will be use to me constantly posting bathroom selfies at my office. Now what you may not know is that my day job is an Insurance Broker, I know I know not much fun and yes my job with Made for Mermaids is much more fun but nevertheless I have been working in an office for 20 years now. Now because I love sewing so much I sew about 90% of my work attire, I do occasionally buy dress pants and jackets but other then that I sew everything I wear. My office is inside a Credit Union so quite a corporate environment but they aren’t too strict with what we wear. Now I have an extra special outfit for you today! 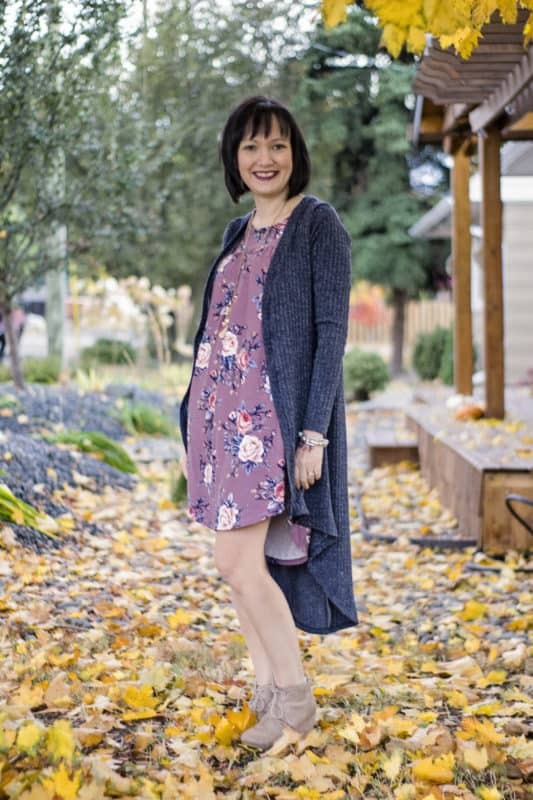 I am wearing the newly released Mama Darcey in the high/low hemline and a dress. What dress? Well that’s a secret for now but you are getting a sneak peek of an upcoming pattern by Catherine Muzzatti! 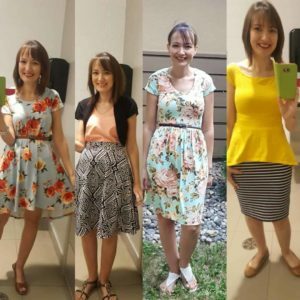 As with all of our patterns is has a ton of options and will be a staple in my work wardrobe for sure! 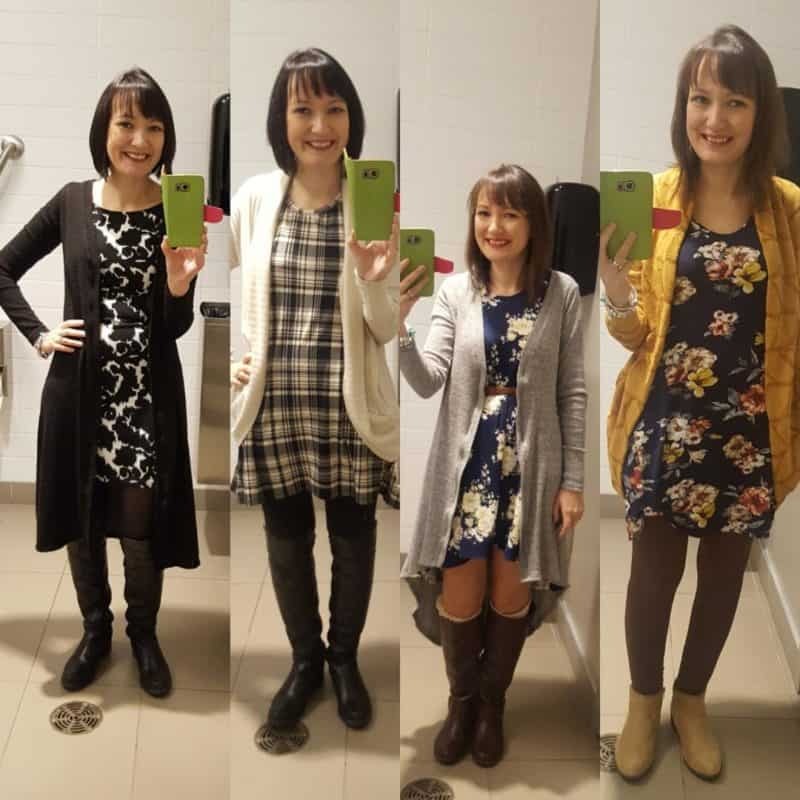 Mama Darcey is getting worn a ton this last couple of weeks, I am always cold in the office and bring a cardigan of some sort every day to the office even in the summer and Darcey is so perfect with so many options I can wear a different one every day! Now you didn’t think I was going to leave without some office bathroom selfies did you?! Why of course not!! Honestly as a working mom it is hard to get pretty pictures of everything I make and I take so many office selfies that my daughter recently asked if we could do her photo shoots in my office bathroom! Umm no but it made me laugh that she even noticed the amount of pictures I take in a bathroom! Here are a few collages for you, photo quality not great cause yeah the bathroom does not have natural light! Wow that is a lot of patterns! And I promise I have a ton more bathroom selfies on my phone. 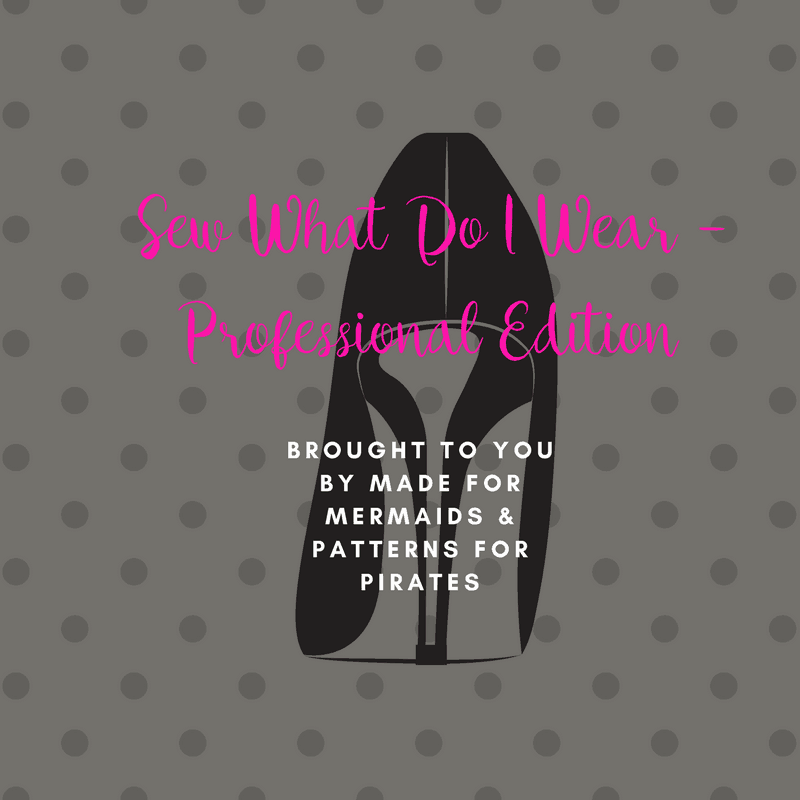 I have used just about every pattern in the Made for Mermaids and Patterns for Pirates line up to create a work appropriate outfit. A lot of the time it is just about fabric choice for instance you may have noticed that I have Mama Bear Joggers listed above but I made them in ponte de roma so very much an office appropriate fabric choice. 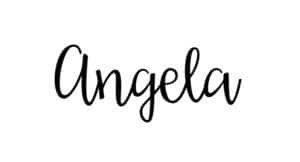 I really hope you have enjoyed this blog tour, I know I have loved seeing everyone’s photo’s each day and has given me some great ideas on new items I want to sew up! Below you will find the schedule for the tour along with links to all of the awesome blogs that participated in this tour! 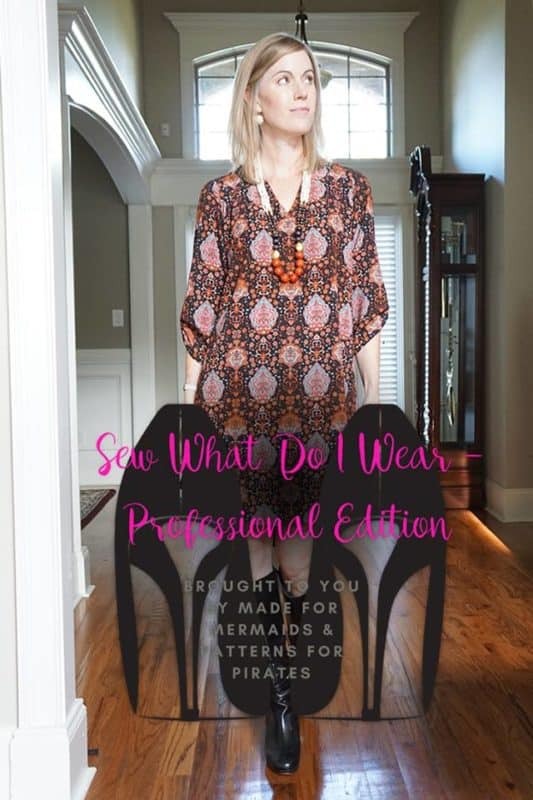 We really love the Sew What Do I Wear Blog Tours and are sure to be back with another one in the new year!